The Garfield Skip-a-Week Club would soon meet at the home of Mrs. John Fiske. "Club members are asked to bring an exchange gift and a gift for their secret pal as this is to be a revealing party and you will find out who your secret pal is," The News reported. 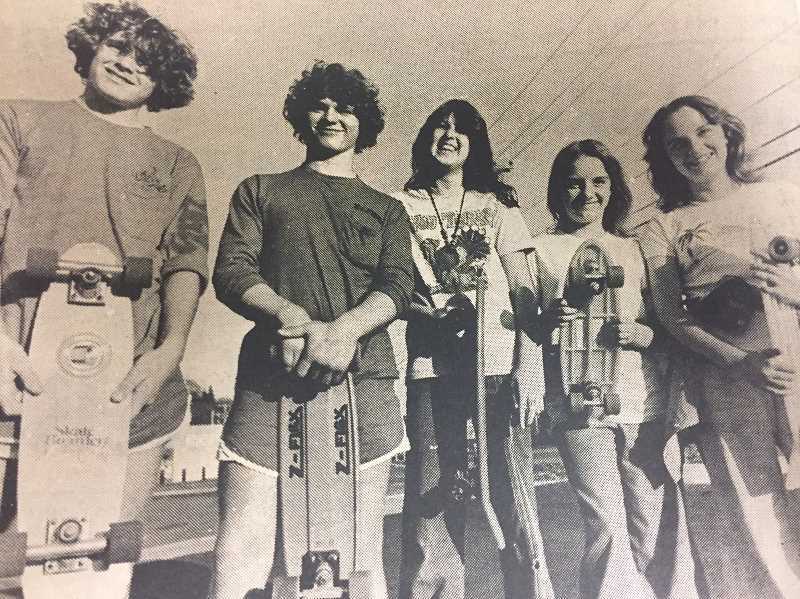 Youths on the Estacada Skateboard Team felt there was not a place in town where they could practice their craft and planned to meet with Mayor Mike Park to discuss the subject. Jeff Brown, 15, who was the team's captain, submitted a letter to Park, stating "We feel there is an inadequate supply of recreational facilities in the Estacada area. We also believe that if one of these facilities was provided in Estacada, crimes, vandalism and loitering in the downtown area and other unwanted attributes producing from the young people's lack of recreational facilities would decrease. Park was impressed by the letter and hoped to meet with the group as soon as possible. Estacada High School had elected Sonja Bagley as president, Tracy Shobe as activities director, Amy Schuler as publicity director, LeMarc Schlosser as treasure and Melanie Fay as secretary. Senior class officers were Maria Gentemann, Abel Hedum, Becky Maier, Shannon Wheeler and Jenny Weil; junior class officers were Tiffany Stadey, Summer Woodruff, Jenny Johnson, Angel Austin and Adam Bass; sophomore class officers were Angie Bagg, Tina Moe, Stacy Prock and Holy Shrive; and freshman class officers were Dominik Hernandez; Kari Campbell; Heather Hartman and Brian Carlson. Estacada High School had recently produced the musical "Anything Goes," by Cole Porter. The cast was led by students Erin Roden and Paul Beaudoin, who played Hope Harcourt and Billy Crocker. Estacada High School Drama director Karen Luckhaupt, Jazz Band Director Steve Christensen and Choir director Rendell Frunk all collaborated on the show. Linda Roth served as costume coordinator, and Carrie Prokop was student assistant director and stage manager. Christenson and Janice Packard designed the show's sets. Estacada High School was considering a policy that would prohibit students from driving off campus during lunch, though they would still be able to visit nearby locations by foot. "In our handbook, we already have a closed-campus policy in writing," said Estacada High School Vice Principal Scott Sullivan. "But to have one or two people try to keep 700 kids from escaping was very difficult to do. We've been interested in developing a policy that we could actually try to enforce." A draft of the new plan said students would be able to apply for an off-campus lunch pass, which would only be granted if students met standards for academics and attendance. In an advertisement, The Spiral Gallery encouraged readers to stop by to pick up a Father's Day present. "Attention wives! How many hammers does a hubby really need? Why not get him something creative this year?" the ad asked. "Hand-made wood pens, metal belt buckles, wine stoppers — lots of unique and interesting items for the dad on your list." The Estacada Public Library Summer Reading program would soon begin. The theme was "Build a Better World," and participants who completed their reading logs will be raffle drawing and have an opportunity to select a free book. There were also a variety of activities planned, ranging from worm composting tutorials and opportunities to build birdhouses to performances that blend magic and juggling.